Want a beautiful stamp set with inspirational sentiments? Then the Enjoy Life stamp set is for you! I really love this set, it is proving to be very versatile. It's great for people who love sentimental cards, or for making cards for those who lead an action packed life. This set is new to our recent Annual Catalogue, and it is turning out to be very popular amongst both Demonstrators and customers. 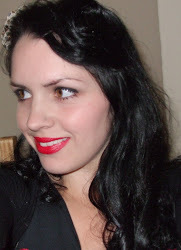 The sentiments are vastly different, which means there is something for every occasion. 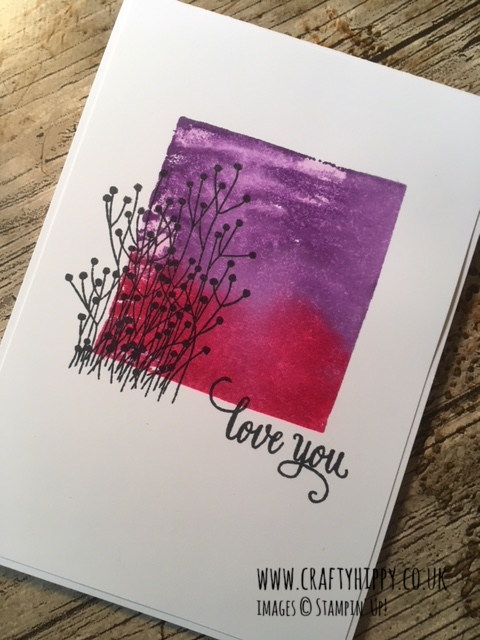 This is such a simple card to make. Just follow the directions below. 1. Apply some Melon Mambo ink to an acrylic block using the edge of the ink pad. Do the same with Gorgeous Grape. 2. With an Aqua Painter carefully blend the two colours, taking care not to add too much water to your Acrylic Block. 3. 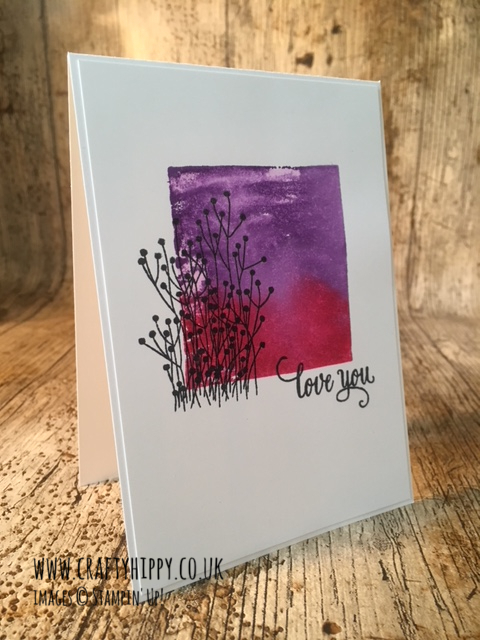 Stamp the Acrylic Block directly on to your Whisper White Cardstock. 4. 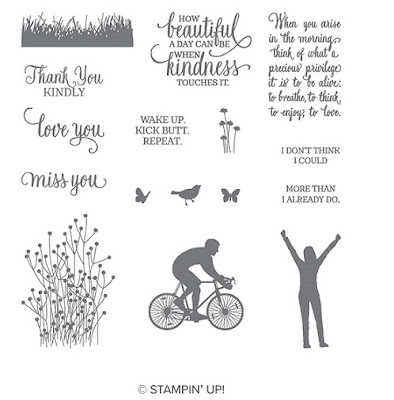 Stamp the images and sentiments over the top in Basic Black. I really hope you have enjoyed today's project. I try to keep them as simple as possible so that all levels of cardmakers can try them. 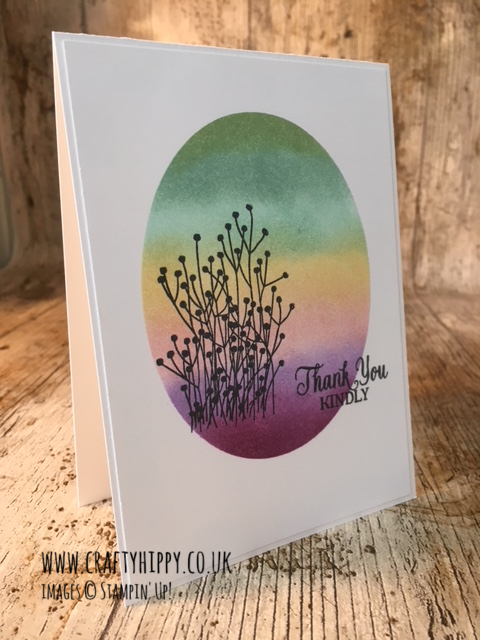 Of course you can experiment with this technique by adding more colour, or by having the colour change in a vertical manner. You could also add to this project by stepping it up a bit - why not add more stamping or some embellishments, either sequins or ribbon or both. 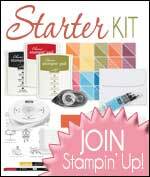 I do hope you'll join me tomorrow for more Stampin' Up! ideas and projects, thanks for stopping by today.